is the Natural Way and Truth of the Universe. is not a religion, rather, it’s a spiritual philosophy based on Nature, originally practiced by the ancient Chinese more than 8,000 years ago. are self-motivated spiritual seekers who follow and respect the way of the TAO. The internal martial art of Baguazhang is a living tradition of martial arts forms, health maintenance exercises and spiritual self-cultivation practices that are rooted in the principles and philosophy of Taoism (the natural way and truth of the universe) as expressed in the I Ching (sacred book of changes and divinations). Baguazhang is a complete system of self-defense that teaches individuals how to simultaneously develop fighting skills alongside learning health maintenance and spiritual self-cultivation techniques. 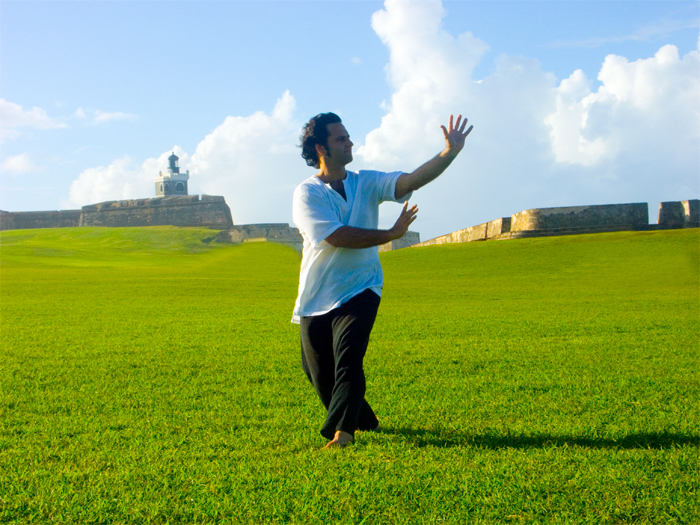 A unique method of fitness and body strengthening greatly influenced by the ancient wellness practices of meditation and qigong. It shares many of the same qualities and philosophical roots as its more popularly known sister art of Tai Chi Chuan (The Supreme Ultimate Boxing Method), but is considered a more physically challenging style. Its one of China's three major internal martial arts styles, though it is rarely taught or practiced in the west. The ancient wisdom of the TAO comes to life when practicing these unique spiraling movements and forms of baguazhang. Practitioners may spontaneously experience pleasurable sensations after doing a few of these routines, because bagua movements mimics the natural rhythm and flow of Nature. More joy and happiness is possible when we learn to harmonize with these natural cycles of life, rather than trying to fight against or dominate them. So, when our Qi/Chi (lifeforce energy) is better preserved, through conscious avoidance of energy dissipation, more vitality is made available to us. And, when our Chi/lifeforce is abundant, it flows more freely and leaves us feeling more inspired to choose healthier lifestyles. Thus in this state of being, incorporating a disciplined exercise routine or being motivated to finish certain projects, becomes an effortless process requiring very little "willpower." As the ancients masters and wise persons of today like to say, "Its all about the Chi."